Remember the leftover meat from that chicken you roasted? Here’s where you get another delicious, healthy, from-scratch meal out of it that is easy but different enough to please anyone in your house who doesn’t like to eat the same thing twice in a row. 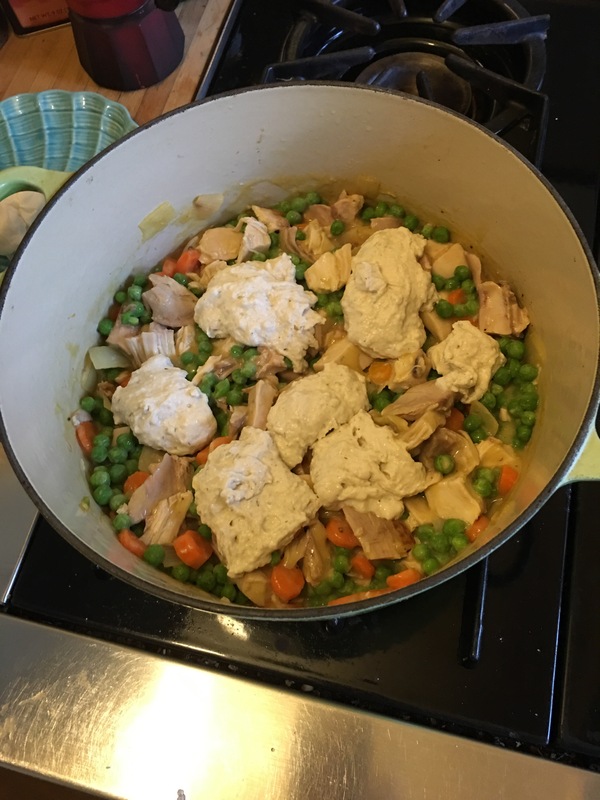 I started with Martha’s recipe, but adapted to use roasted chicken instead of raw chicken. 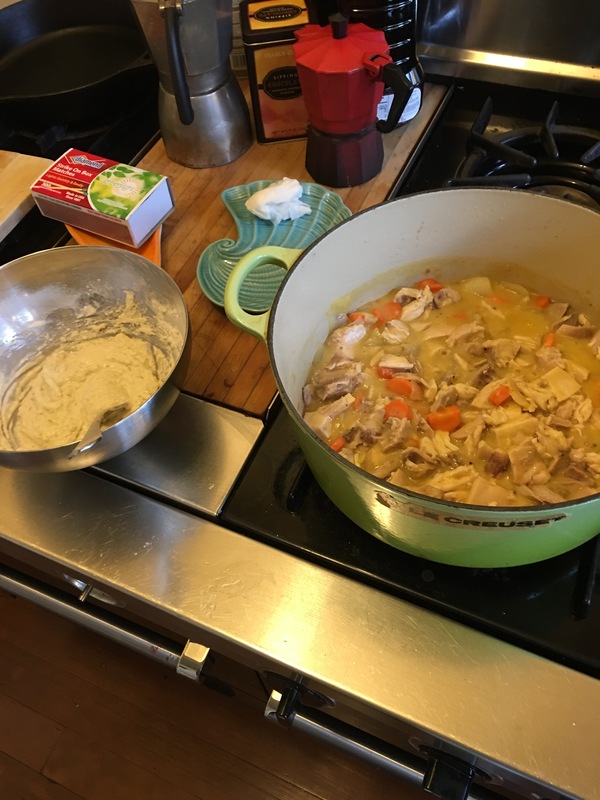 Follow Martha’s recipe until she adds the chicken to the sauce. Just simmer 5 minutes until the chill is off your chicken, as it is already fully cooked. You can head straight to the dumplings and make yourself a quicker dinner. Yum! Serve in bowls with a salad or some steamed green vegetables on the side. Comforting and warm, plus any leftovers heat nicely in the microwave for lunch tomorrow. 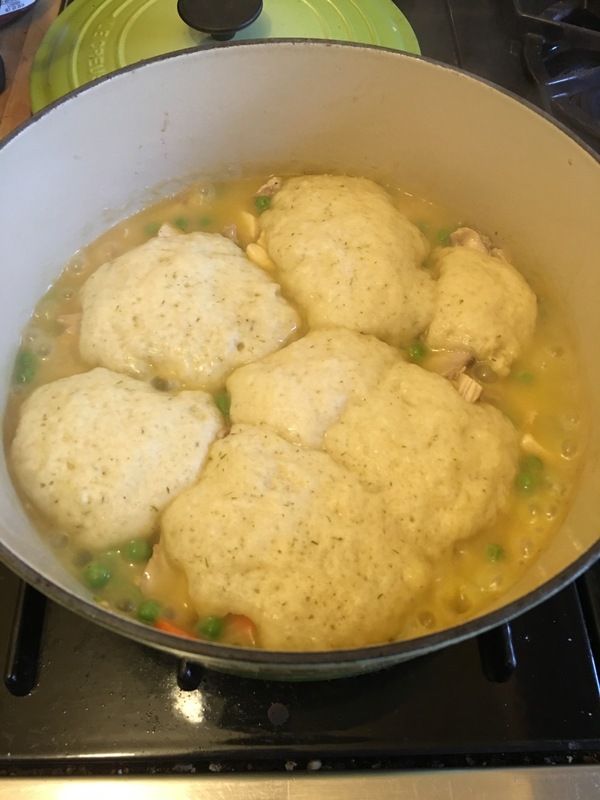 I love dumplings but never think of making them. And we seem always to have chicken leftovers in the fridge. Such a great idea! I’m making this tonight!